Use the sign up form below to add your name to our email list. We'll send an alert when this feature is ready. Interested in quickly and easily identifying quality tenants? 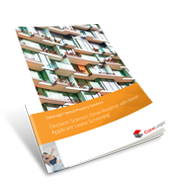 The application was processed within minutes and the report was easy to read. I LOVE it.